For the past two years Luke Seer Brown worked full time for Prodigious Films as a director, editor, animator and shooter. With a background in graphic design and acting Luke has a passion for all things film. He aims to tell strong visual stories with an element of performance that both connect and entertain. Able to adapt to any project with clarity and spirit Luke is a one of a kind talent. Luke a fantastic collaborator (and great company as well). We’ve worked together a few times and in all instances, he has gone above and beyond the call of duty and elevated the project to beyond client expectations. He puts in a lot of prep and thought in the early stage and is quite hands on in pre-production which makes everything roll out smoothly on the day and into Post. Having an editing and animation background means he doesn’t overshoot which allows more time for experimenting on other scenes or sequences which often yields great results. Also, having worked at several large production houses, he has a great knowledge across many areas of production from pitch, to pre, shoot and all the way through to delivery. This versatility is a great asset and I’d be very happy to recommend him in the future. Luke has worked with us on many varying campaigns and has always been an absolute pleasure to work with. He’s extremely reliable and efficient in his work, can be trusted to deliver even when remote, and he goes above and beyond the call of duty to deliver exceptional work. 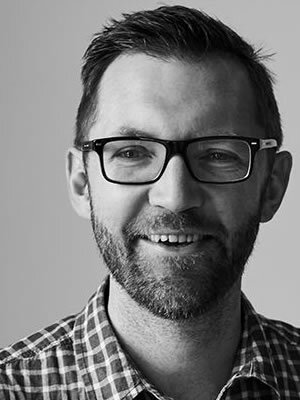 Luke brings perspective and insight to the tasks at hand and offers his own ideas/expertise to ensure we deliver the best possible creative output. No job is too big or small and he happily takes on anything we’ve thrown at him with a great, positive attitude. He’s also a very friendly and personable guy, easy to get along with, with a great sense of humour. Would highly recommend Luke, absolute top bloke!